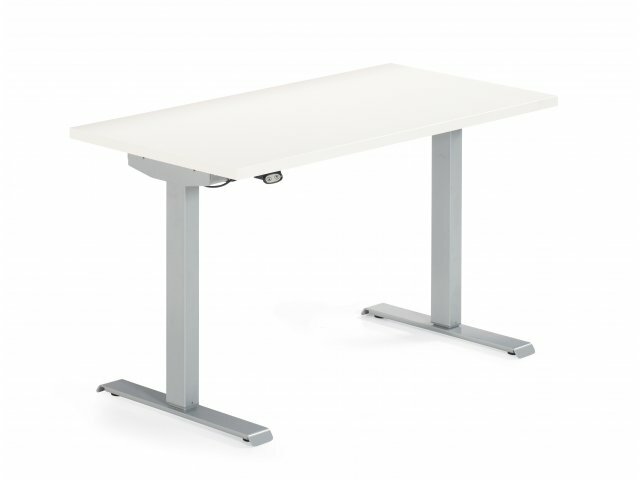 Global Foli Adjustable Standing Desk 29x70"
The ample work surface of this adjustable standing desk creates a perfect place to collaborate with a colleague. 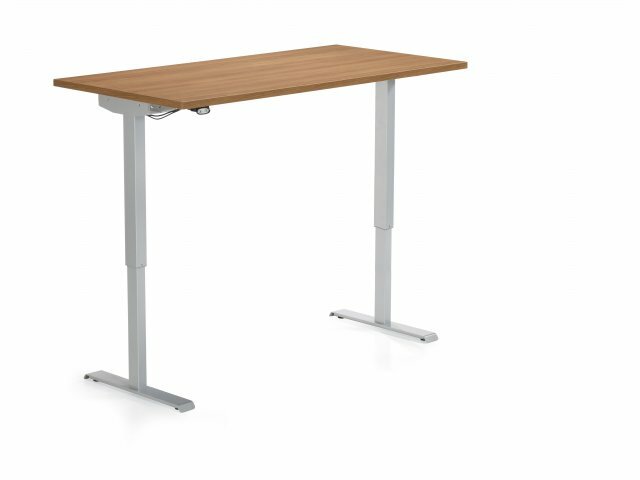 The universal freestanding design of the Foli Adjustable Standing Desk fits into any workspace. With a full range of motion from standard sitting height to full standing height, every professional can get the perfect adjustment. The push-button motorized mechanism allows effortless adjustment, which enables healthy movement and repositioning throughout the workday. Sit/stand desks will become a natural part of your workspace, no matter what your preferred position is. With a surface that moves with you and adjusts in a matter of seconds, everyone can maximize focus and productivity. 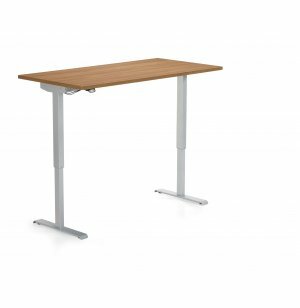 A sturdy metal frame ensures that these stand-up desks will be supporting your professional progress for the long term. Flexible Design: Freestanding standup desks can be used for independent work, collaboration, conferences, training and more. Effortless Adjustment: Height adjusts via a push-button mechanism, which activates a single motor hex rod drive system capable of lifting up to 220 lbs. Wide Range: Adjusts from 29-47" high, accommodating a range of chair heights and facilitating comfortable standing heights for various body types. Sturdy Build: Supported by steel leg tubing, feet and a cross bar. Level Desktop: Adjustable glides ensure a level surface, even if floors are uneven.